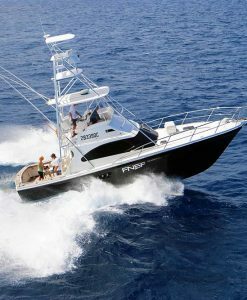 There are a few different options for Sportfishing tours located in Port Douglas. Port Douglas has a fantastic estuary system which is all salt water. 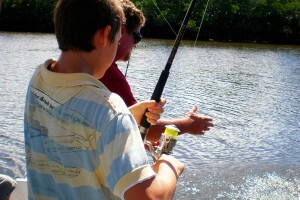 There are a few sportfishing tours that operate in the estuary in Port Douglas. The best tour guides for sportfishing tours are the one that have been in the local area the longest! 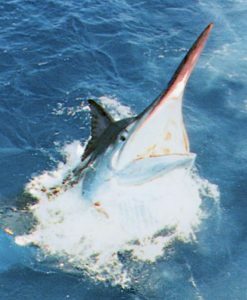 The most successful sportfishing tours also catch live bait at the start of the tour. It is very interesting to watch the tour guide throw the cast net and see what bait fish come up in the net. Live bait fish are the best bait to use for estuary sportfishing tours. In the estuary you are targeting aggressive pelagic fish that enter the estuary hunting bait fish. As the estuary is a nursery for many fish species, it provides a lot of hunting opportunities for these predators. Species such as Trevally, Tarpon, and Queenfish hunt in the estuary. 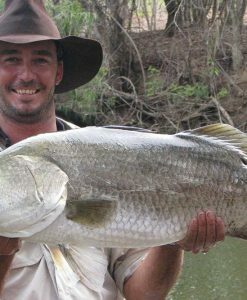 There are also resident sportfish in the estuary like Mangrove Jack and Barramundi. 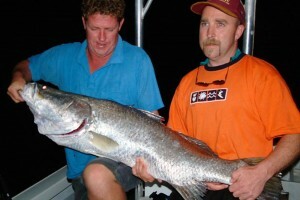 The estuary sportfishing tours from Port Douglas are half day, morning or afternoon. 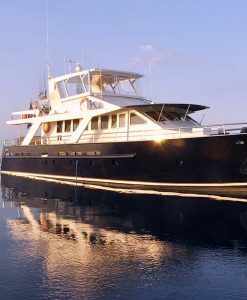 If you have a small group of people (no more than 4) you can also do a sportfishing charter at night. 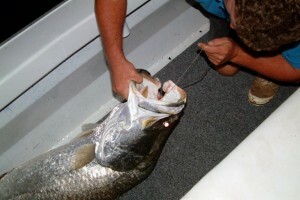 There are some pretty big predators in that estuary at night, horse sized barramundi for example! The nice thing about the sportfishing tours in the estuary is that they are small group sizes of no more than 6 people. If you have more people than 6 in your group, you can charter two boats. 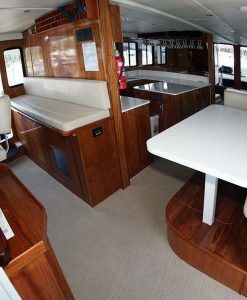 The sportfishing tours that Port Douglas Reef Charters recommends provide custom-built rods and quality reels. 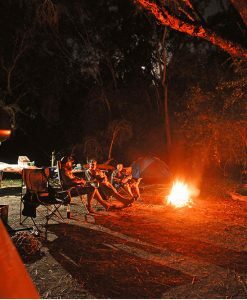 There are a couple of long-term river sportfishing tours that operate on the Daintree River some 45 minutes north of Port Douglas. Once again the tour operators are long term locals that know the river like the back of their hands. 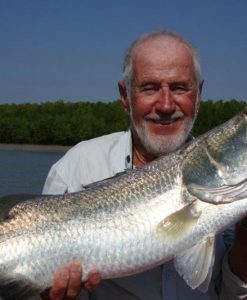 The Daintree River sportfishing tours target exciting species such as Barracuda, Barramundi, Mangrove Jack, Grunter, Fingermark, Queenfish and Bream. 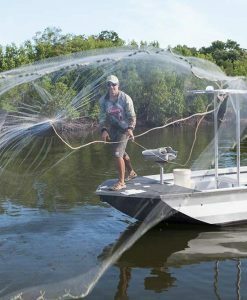 The sportfishing tours on the Daintree River employ a number of different bait and techniques depending on the time of the year, the tide and the area of the river that is actually being fished. 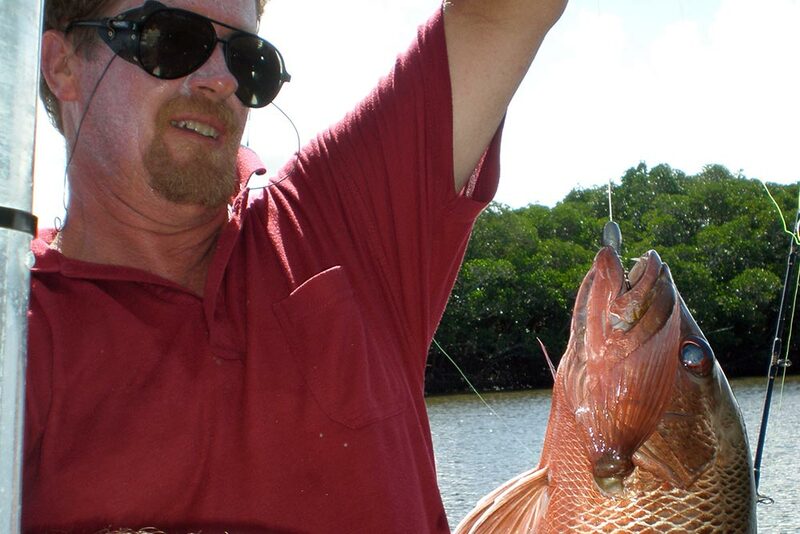 Shared charter and private charter sportfishing tours are possible on the Daintree River. Some of the sporfishing tours on the Daintree River offer the option for half day coastal Sportfishing tours. 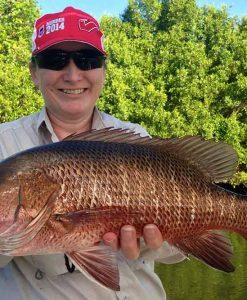 These half day sportfishing tours fish the mouth of the Daintree and also the salt water around Snapper island. Snapper island is just off the coast and surrounded by some deep drop offs. The coastal sportfishing tours fish the local inshore reef as well as the wrecks of the Daintree coast. 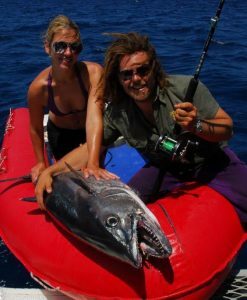 Your guide will a combination of live baiting, lure, fly and trolling methods in order to hunt Spanish Mackerel, Tuna, Coral Trout, Nannygai and Queenfish. The coastal sportfishing tours are weather dependent. It is a small boat used for this tour, so if the winds are too high it will not venture out off the coast.